Some things are just better together. 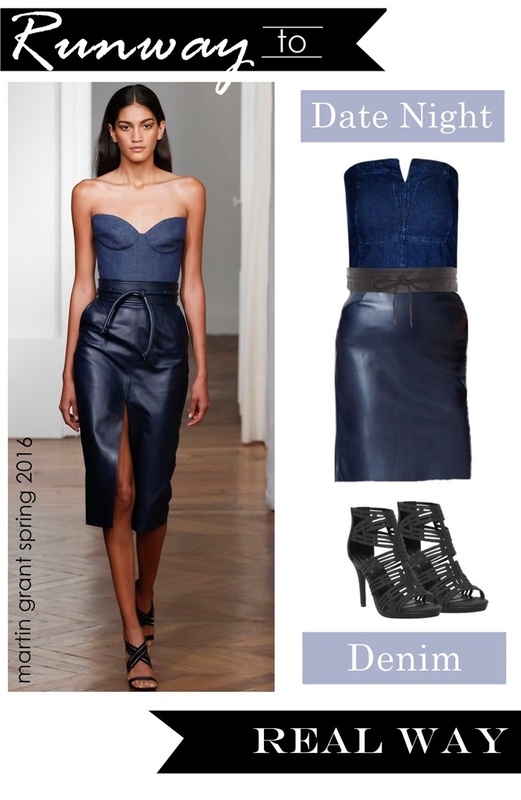 Think peanut butter and jelly, Thelma & Louise, and one of my faves – denim and leather. Effortlessly practical and polished this pairing is a match made in fashion heaven. Lucky for us, Martin Grant’s Spring RTW Collection was filled with plenty of denim inspo including this sassy little number. Perfect for date night or an evening out these items will make the everyday curvy woman feel like a total knockout. I agree denim and leather is a really great combination! This is total date night wear! Love!